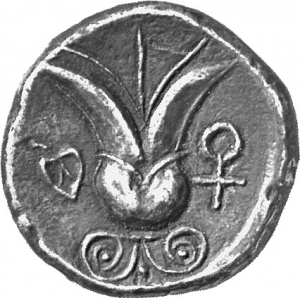 On the website of the research project “The Silver Coinage of the Kings of Cyprus: Numismatics and History in the Archaic and Classical Periods (6th to 4th centuries BC) (SilCoinCy)”, you will discover everything you want to know about ancient Cypriote history, archaeology and numismatics. You can search for information related to the ancient coins of Cypriote city-kingdoms, read scientific articles written especially for this website by specialised researchers, locate related numismatic bibliography, and consult a calendar of events as well as links of interest. 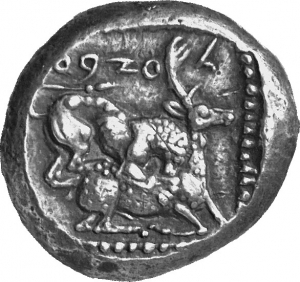 Cyprus, Salamis, King Nikodamos (c. 450 BC). 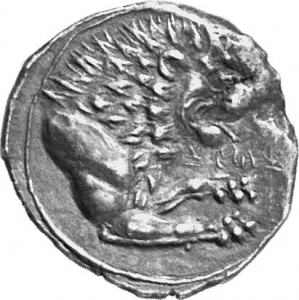 Silver, 1/3 of a siglos, 3.24 g.
The coin issues of the king of Amathous, Pyrrwos, known exclusively from his numismatic production, are dated in the years after 385 BC.On the coins is adopted the iconography with the recumbent lion on the obverse, with a Cypriote Syllabic legend attesting his name on the exergue. 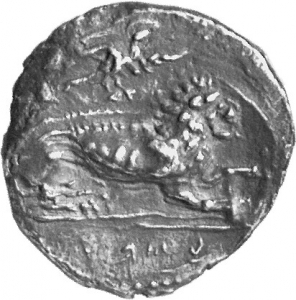 On the reverse is represented the forepart of a lion with open jaws, with the Cypriote syllabic legend pu-ru-wo-so that repeats the king's name. 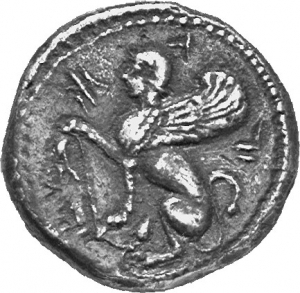 The research project “The Silver Coinage of the Kings of Cyprus: Numismatics and History in the Archaic and Classical Periods (6th to 4th centuries BC) (SilCoinCy)” started as an idea aiming to collect and study the coinage issued by Cypriote kings. The project was organised in five work sections pertaining to the collection of numismatic material kept in museums and private collections all over the world, the development of a numismatic database that is enriched with the relevant numismatic material, the study of numismatic material and the dissemination of research results through scientific publications, as well as the development of a website dedicated to the history, archaeology, and numismatics of ancient Cyprus. This website is called Kyprios Character, History, Archaeology & Numismatics of Ancient Cyprus, and its objective is to become a reference point for educational and scientific purposes, as well as for the general public. 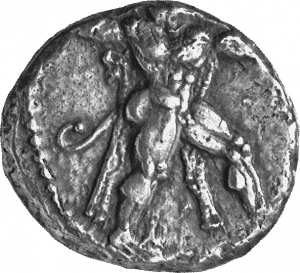 It aims to include part of the numismatic material that has been licensed for publication on the project’s website, a complete numismatic bibliography, scientific texts written by external collaborators specialising in ancient Cyprus, an events calendar, and links of interest. 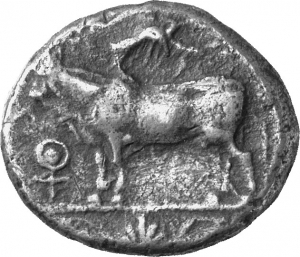 In this section you can search for numismatic bibliography about ancient Cyprus. The bibliography has been compiled by Dr Anne Destrooper-Georgiades for the research project The Cyprus Numismatic Project (CNP), updated by the same author and was transferred to the website in consultation with prof. K. Rutter (scientific coordinator of the Cyprus Numismatic Project) and the University of Edinburgh. The bibliography currently includes more than 600 bibliographic references to publications dating from 1836 to 2014. You can search for books and articles by using simple and advanced research options, for example author's names, publication date, keywords or content. Here you can search for silver coins issued by the kings of Cyprus. 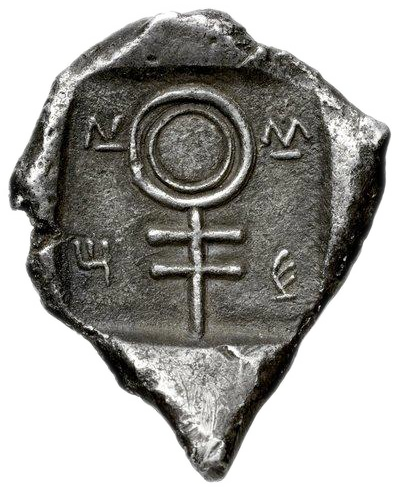 The numismatic database is the core of the research project “The Silver Coinage of the Kings of Cyprus: Numismatics and History (SilCoinCy)” and aims to the better organization and dissemination of the primary source material: the coins. 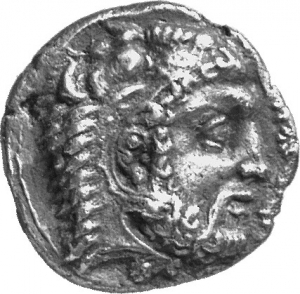 Through the numismatic database you are able to search for silver coins of various denominations and weight standards issued by different Cypriote kings in the Archaic and Classical periods (6th to 4th centuries BC); the coins are kept in private and public collections all over the world. The organisation of the numismatic material follows international numismatic standards and allows the simple yet elaborate search of coins by metal, denomination, issuing authority or iconography, amongst others. The island of Cyprus, situated at the eastern end of the Mediterranean, has always been a significant crossroads of cultural interchange between the East and the West. Important information related to the history of the island in the 6th, 5th and 4th centuries BC has been preserved by ancient authors and other primary sources including archaeological finds, inscriptions and coins. 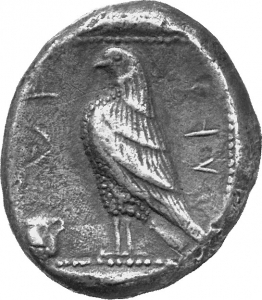 It is this last category of evidence, the coins, that is presented on the Kyprios Character. 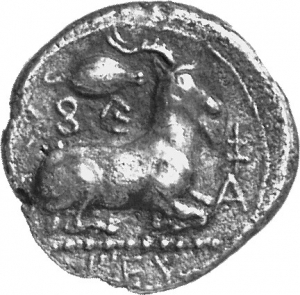 History, Archaeology and Numismatics of Ancient Cyprus website as an outcome of the SilCoinCy research project. This contribution aims to deliver a brief overview of the Cypriote coinages that will provide basic information to the interested reader.